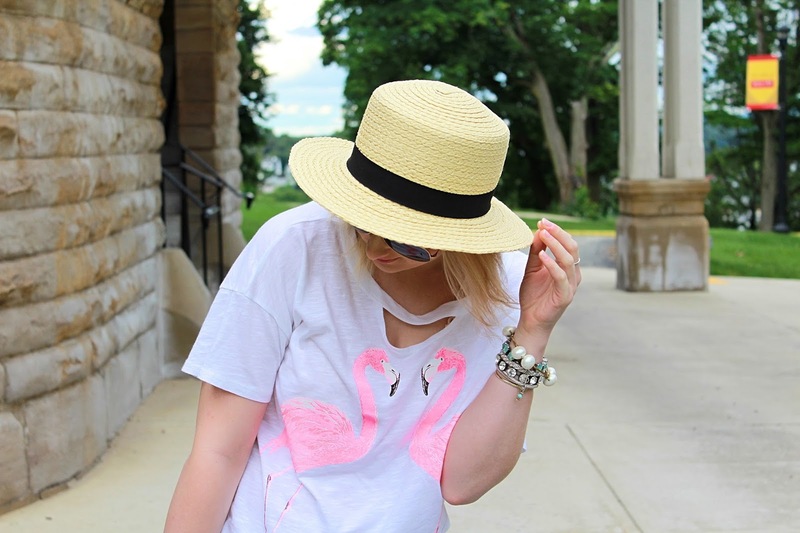 When I saw this adorable Flamingo tee shirt I knew I needed it in my life. 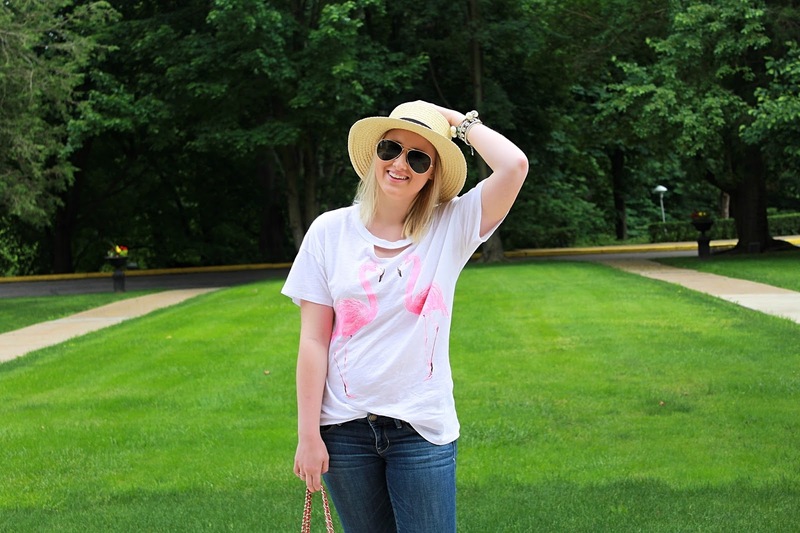 Hot pink flamingos on a white tee shirt, I am so sold. 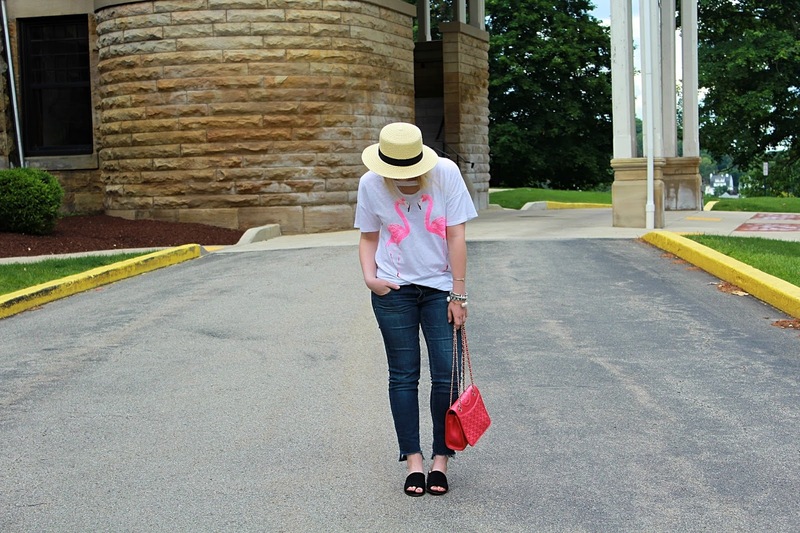 I wore this adorable Indie love tee shirt the other day running errands around Pittsburgh. And first thing is, first Shop Indie has adorable pieces and at such a great price. And two what’s better than a good tee shirt, absolutely nothing! Y’all also might remember these jeans from the fall when I decided to cut them and make them more into a current trendy pair. Truth, is I came across them the other day and fell in love with them all over again and thought they would be so perfect with these mules. 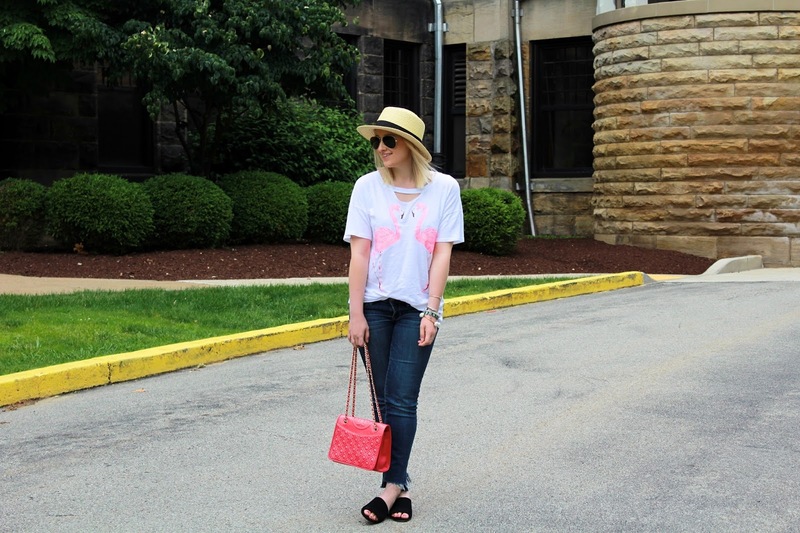 And finally speaking of these mules, they are my latest Tj Maxx buy! And yes let me just tell you they are so darn comfy. I have been wanting a pair of shoes like this for some time now. But I did not want a high heel for many reasons. Mostly because they would NOT fit into my everyday life and for me, that was just not going to cut it. So these baby ones are the perfect fit for me and yes they are under $30!!! This week has to be one of the busiest weeks ever! My cousin is getting maried this Saturday and I am in full bridesmaid’s mode! Let’s hope I survive this week! I am already exhausted and it’s only Monday! Previous Post Affordable pieces you need in your clset this summer! LOVE flamingos, seriously, one of my favorite animals. Such a cute cute cute shirt. what a pretty tee! 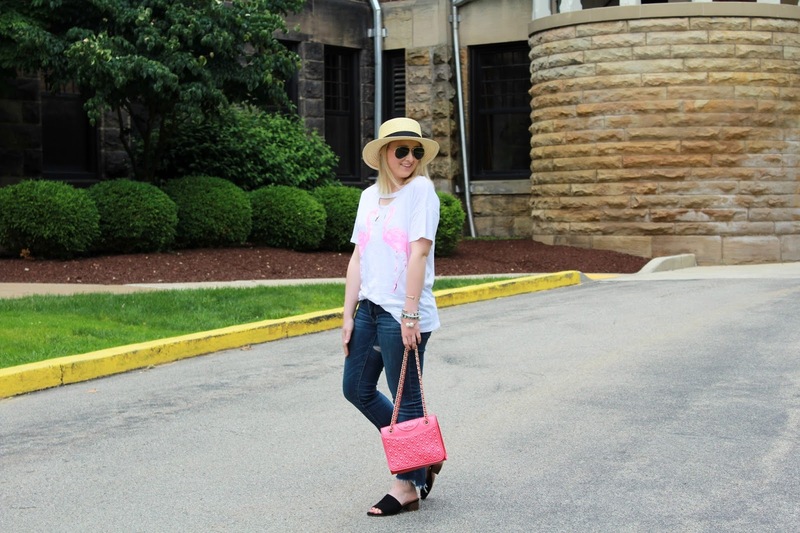 so casual and adorable! love it!have a wonderful day!